It’s no secret that US-based extrusion machinery supplier Davis-Standard has the industry’s most extensive laboratory capabilities for both extrusion and converting applications. 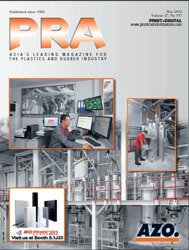 With R&D labs in Pawcatuck, Conn., Fulton, N.Y., and at the company’s subsidiary in Suzhou, China, customers have multiple options for making parts for proof-of-concept, experimenting with new resins, conducting materials development, and testing equipment prior to making large capital investments. According to John Christiano, Davis-Standard’s Vice President of Technology, the range of lab capabilities has been instrumental in supporting customers pre and post purchase, while also allowing for continuous internal technology development for Davis-Standard. Christiano noted that each lab gives customers multiple options in terms of equipment, control systems and feedscrew technology. The labs are also staffed by extrusion engineers with years of combined experience and industry knowledge. Following is a summary of lab capabilities at each location. 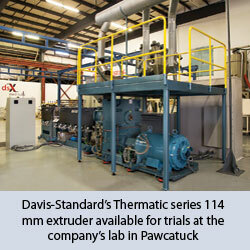 At Davis-Standard’s Technical Centre in Pawcatuck, the company offers labs for single screw extrusion, coextrusion sheet applications and medical tubing. The single screw extruder lab has both smooth bore and groove feed technology as well as a high-speed extruder, vented and non-vented options, and extruder L/D configurations ranging from 24:1 to 40:1 depending on application. The coextrusion sheet line is set up for running sheet in various thicknesses with advantages such as hands-free roll gap adjustment, gravimetric blending, thin-gauge capabilities, melt pumps and screen changers, and multi-component blenders and cantilevered winding. The focus of the medical tubing development lab is product and equipment development for tubing used in medical devices ranging from single-lumen to multi-lumen applications. The facility is in a climate-controlled environment for running multiple resins including high temperature PEEK and corrosive materials like FEP. This lab also incorporates Davis-Standard’s patented Alternate Polymer technology. The Fulton lab is committed to converting processes, offering capabilities for unwind and winding, extrusion coating, lamination and cast film applications, as well as liquid coating and pelletising. The winding and unwinding lab enables customers to evaluate different methods of unwinding, rewinding and automatic transfer as well as technology for cost-effective roll changes and dual direction winding. For coating, lamination and cast film processes, the line is set up for cast films up to 1,372 mm wide and for extrusion coating in widths up to 1,270 mm. This includes resin blending, drying capabilities, coextrusion feedblocks and a selection of dies, winding and unwinding options. The liquid coating production and pilot line features advantages such as a multifunctional cooling section with laminating nip, auxiliary single position unwind, turret winder roll changer, SurfaStart winder, and configurations for reverse gravure, direct gravure, slot die, contact die, smooth, hot melt and more. The pelletising lab is comprised of an extrusion system for underwater/water or air ring pelletising. 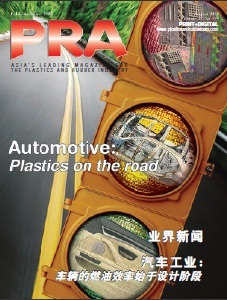 To support regional customer trials and application development, the Suzhou laboratory offers a high-speed FPVC extrusion system and multipurpose microbore tubing line. The FPVC line is capable of line speeds from 5 to 100 mpm for processing 2 mm to 8 mm OD tubing with accuracy of +/- 50u. Line components include a 63 mm extruder, 8 m water cooling, precision internal air supply, OD gauge and combination puller-cutter. The multipurpose micro bore tubing line is designed for single or dual layer tubing, and single lumen tubing with or without a stripe. It is equipped with two extruders, OD/ID wall thickness measuring and controlling system, close loop control via vacuum sizing tank and puller, and a high level central control system. Davis-Standard says it is planning to add a dsX flex-pack 300S, a single station extrusion and lamination line, to this lab for customer demonstrations by the fourth quarter of 2018. This line is specifically engineered for the Asian flexible packaging market in terms of machine footprint, speeds and output, and the ability to make shorter runs.